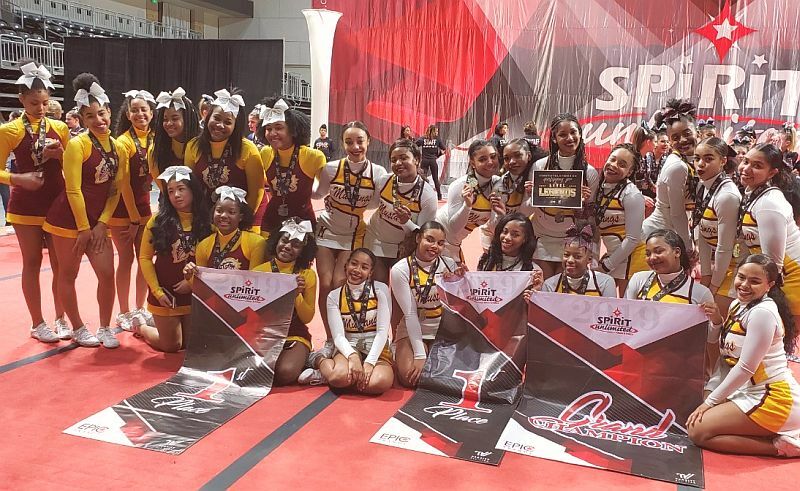 The Varsity and Junior Varsity Cheerleading Teams competed this past Sunday in the Cupid Classic Cheer Competition at the University of Maryland Baltimore Campus. Varsity took the First Place Championship, were Grand Champions of the Event and received a free bid to attend the Grand National Championship in Virginia Beach in March 2019. The Junior Varsity Cheer Team took an event 1st Place Championship as well. Congratulations, Cheer Teams - Go Mustangs!